I joke (being half serious, though), to RM all the time that I wish I could pay someone to come over and do meal prep & cleanup for us. It’s not that I don’t like to meal prep, but more that sometimes I wish I could have those hours from my weekend or week to do something else. I don’t mind food shopping, but sometimes I really dread the process of washing, cutting, seasoning, cooking, watching, organizing & washing the dishes when everything is done cooking. Can anyone relate to this?! Enter: SoulFu3l. They are a local (Boston) company who prepares healthy foods FOR YOU! While they may not actually go to your house and prepare the food in your kitchen, they still make your life a lot easier, especially if meal prepping is just not your thing. As an FYI, normally a meal plan similar to the above mentioned one would cost either $97 or $112 depending on the sizing option you get (4oz or 6oz, respectively). 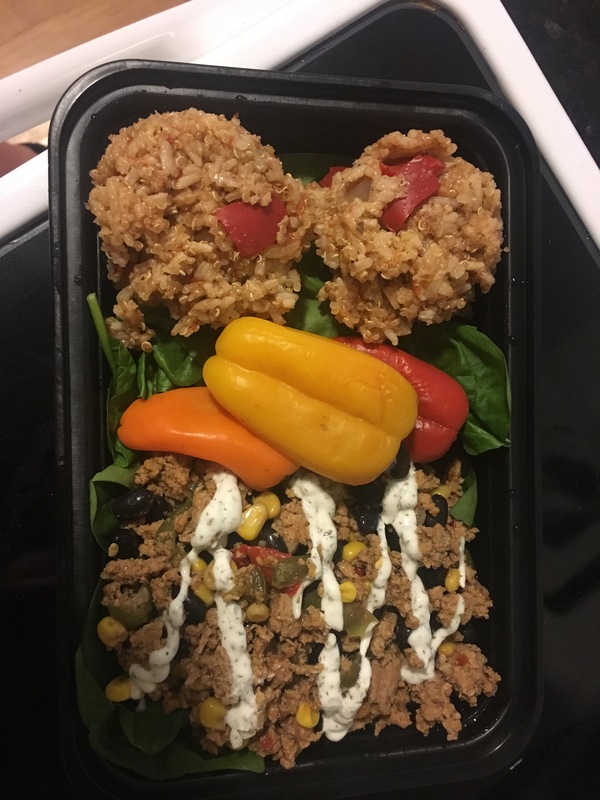 While I realize this may seem a little pricey, I will say that the options come with A LOT of food- and when you figure what you might spend on Whole Foods hot bar, ordering out or going out to eat, it really isn’t much more than that. Plus, you have the option of picking one off’s if a meal plan/meal pack isn’t what you want. Oh yeah, and if you do meal kit delivery options from other companies, 3 meals will cost you about the same, whereas this comes with essentially 6 meals. The way this whole thing works is you go to their menu page to see what’s on the menu for the next week. 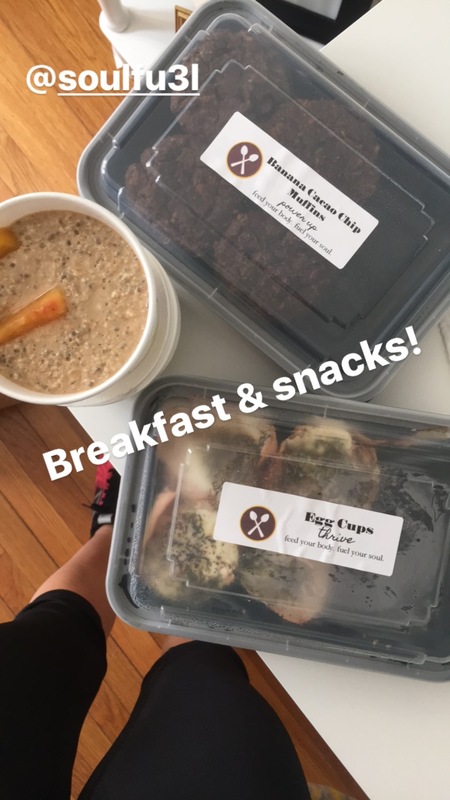 Once you decide, you go to their order page, pick what you want (you can do a sample pack and then order additional items like cookies or muffins), figure out if you want delivery (on Sundays to Boston Proper & Southie, $10 charge) or if you want to pick it up for free at Crossfit Southie on Sunday or Monday. There are a lot of things I love about this company: they are local, it’s two women who both share a passion for health and wellness and believe in feeding our bodies through nourishing foods. The foods they make are paleo, gluten free & dairy free- and yes, they still taste amazing. 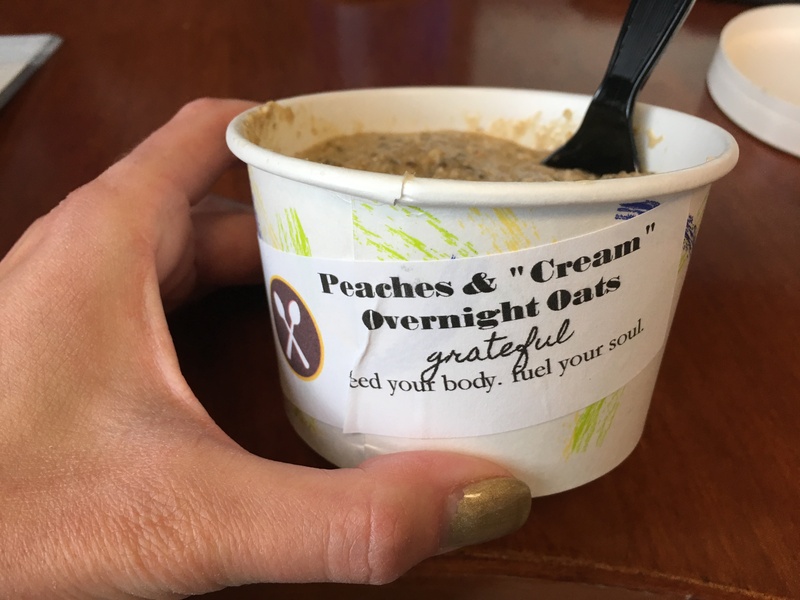 My favorites from our package were the “peaches & cream” overnight oats and the paleo banana cacao chip muffins. If only I could figure out how to make one or both of these- they were seriously amazing! The other dishes were egg cups (wrapped in turkey with spices), a chicken, sweet potato & Brussels sprouts and then the last meal was a Aztec Turkey Bowl. It was so nice to have everything together to easily reheat! At the end of the day, though, as much as we enjoyed trying something new and seeing how easy it can be to have nourishing, good fueling foods at your fingertips without having to do anything besides place an order, both of us like cooking for ourselves and spending time making various dishes so I don’t think we will use this service on a weekly basis. 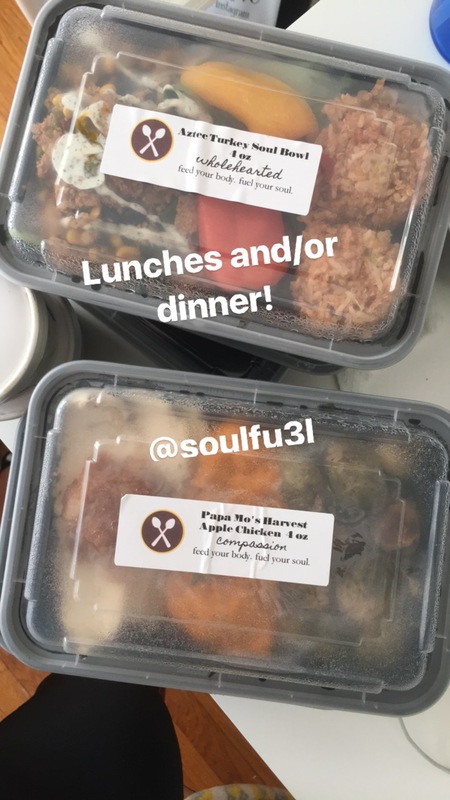 But, for those crazy busy weeks where I would like to spend my meal prepping time doing other things, I think ordering a SoulFu3l order will be especially helpful. It’s also pricier for us than it is to buy veggies & meats and do meal prep on our own, but some weeks I will pay a lot extra for the convenience factor! However, if you are one who does not enjoy meal prepping and find yourself constantly getting Whole Foods hot bar or ordering take-out, this is a company I think you’d really benefit from checking out. They make eating good, nourishing, delicious food SO easy. 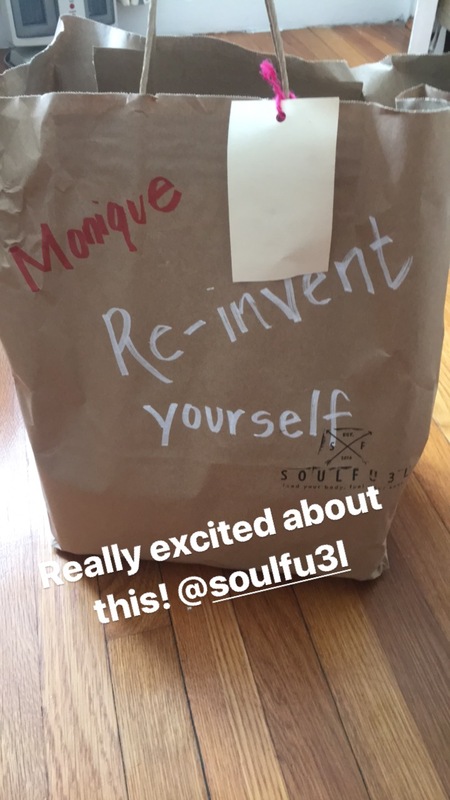 SoulFu3l ladies- you’ve got something pretty amazing going on and I can only hope you’ll continue to work to provide this wholesome, nourishing food for years to come!